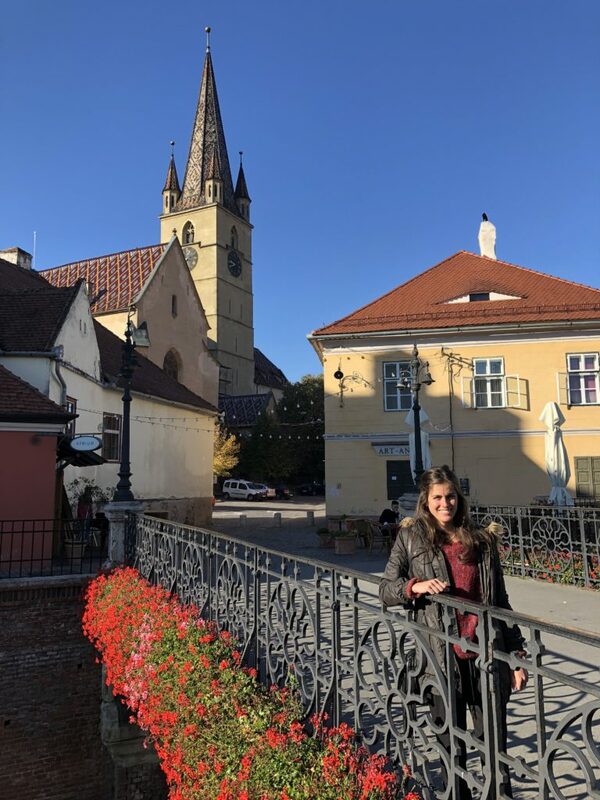 When you ask Romanians what the most beautiful city in their country is, many will mention Sibiu – and I definitely agree. 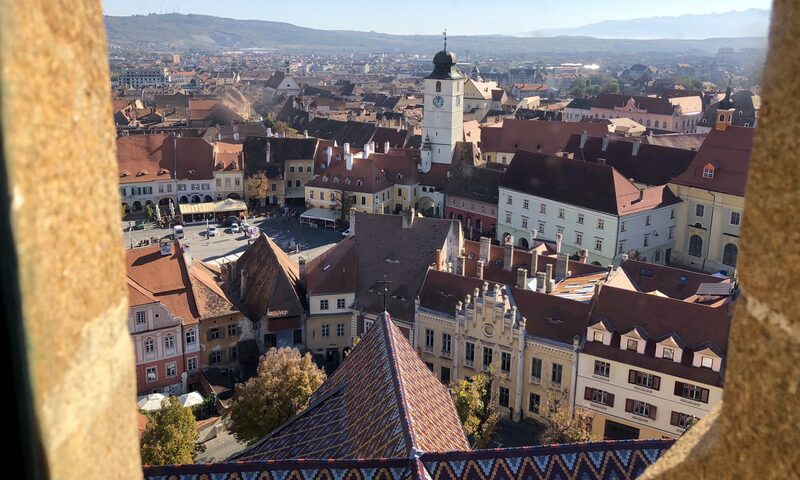 Along with other Transylvanian cities like Brasov and Sighisoara, Sibiu is one of my favorite cities in Romania, where I’ve lived since February 2018. 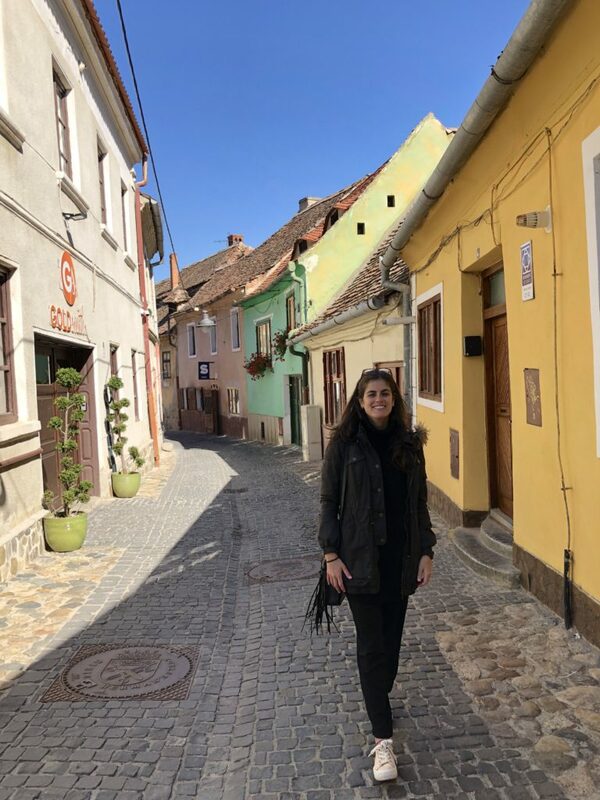 Below I give you everything you need to know to plan a day trip to Sibiu! Logistics: Sibiu lies on the north end of the famed Transfăgărășan, one of the world’s most breathtaking roads. Due to its location, Sibiu is a great place to start or end your journey on the Transfăgărășan. You can spend a night or two in the city, but realistically you can see it all in a solid day. 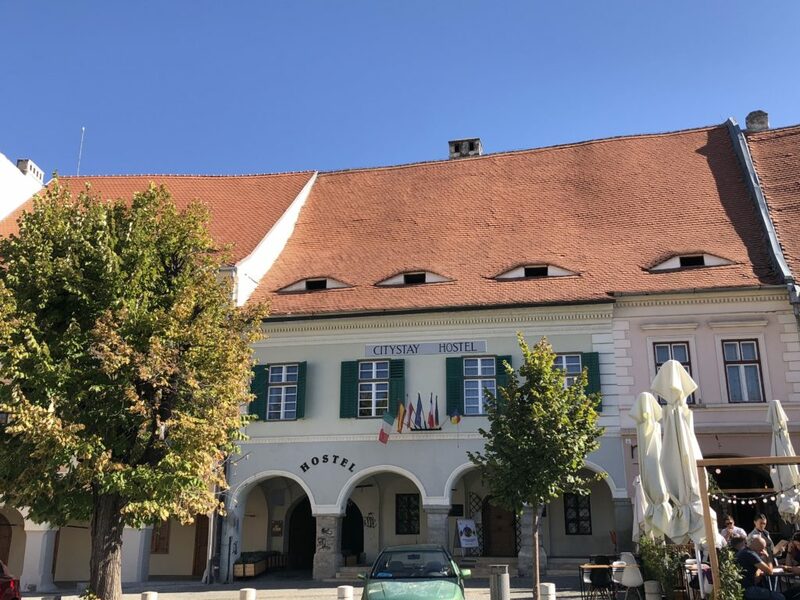 Fun Fact #1: Sibiu is full of Germanic influence. From Cafe Wien, which I mention below, to the names of buildings and entrance signs of attractions, you’ll see German almost everywhere. 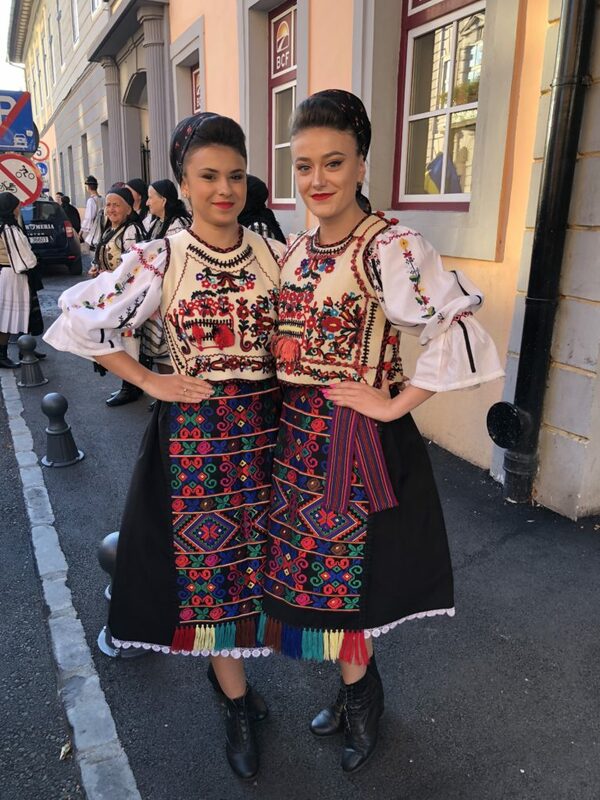 In fact, Sibiu was actually named a European Capital of Culture in 2007 in part because of this cultural diversity...but where does this diversity come from? To understand this phenomenon, we have to look back at the history of Transylvania. In the 12th century, King Géza II of Hungary, ruler of Transylvania at the time, invited Germanic Saxons to colonize part of the region as a strategy to defend the southeastern border of the kingdom. One of the Saxons’ most important settlements became Hermannstadt – Sibiu in Romanian and Nagyszeben in Hungarian. This wave of Saxon settlement under Hungarian rule explains the Germanic and Hungarian influence you see throughout Transylvania, like in Cluj-Napoca, home to a Hungarian university and delicious Hungarian restaurants like Matei Corvin, and Brasov, or Kronstadt in German, home to German street names and Hungarian-Romanian wineries like Pilvax. 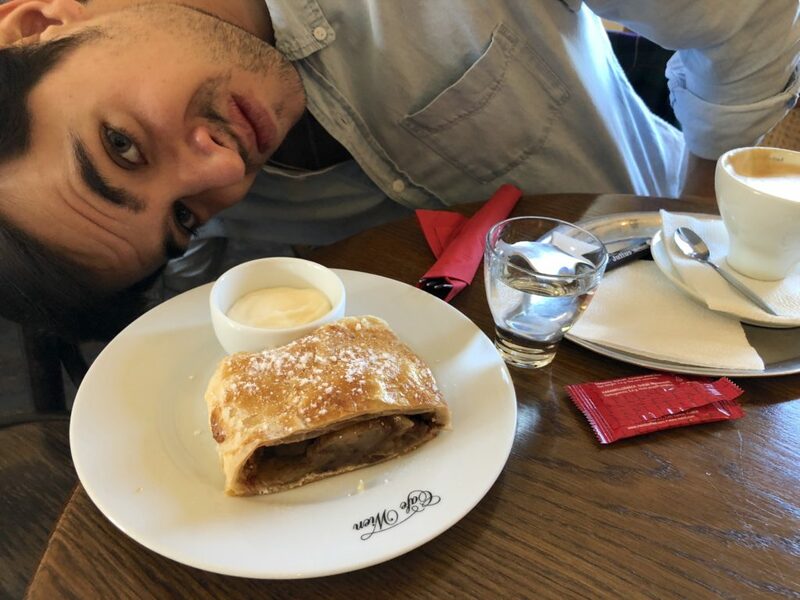 The apple strudel at Cafe Wien is to die for. This tasty pastry, complemented perfectly with sweet vanilla cream, is the perfect way to start your day trip to Sibiu – even though you’ll probably feel like you’re in Vienna! Cafe Wien is great for breakfast, but its outdoor terrace is great at all times of day, especially for an evening beer. Enjoying apfelstrudel at Cafe Wien! 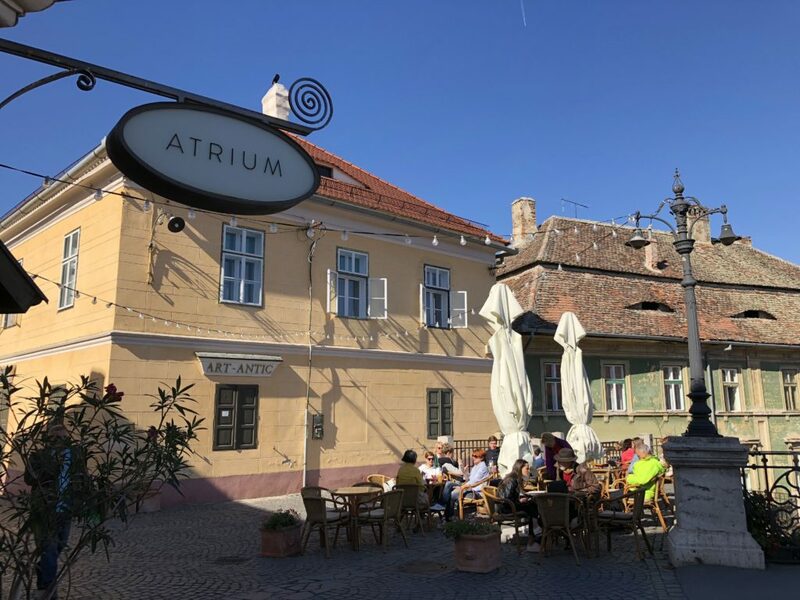 You’ll spend the majority of your day trip to Sibiu wandering between the city’s three main plazas: Piaţa Mica, which translates to Small Square; Piaţa Mare, or Big Square; and Piaţa Huet, where Cafe Wien is. The architecture in all of these plazas is lovely, since many buildings have been restored. 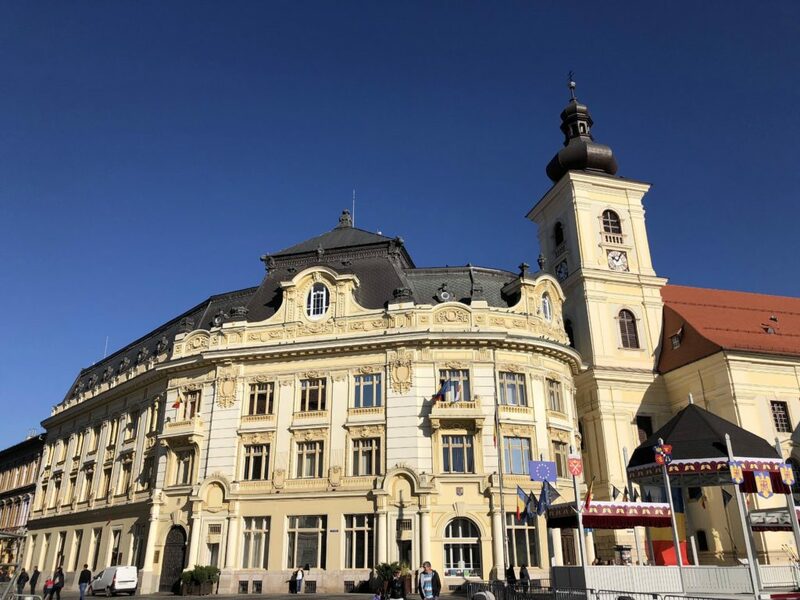 The custard-colored City Hall in Piaţa Mare is particularly beautiful, as is the Baroque Brukenthal Palace (see, what did I tell you about the German names? ), built for Samuel von Brukenthal, former governor of Transylvania. The palace is now home to Transylvania’s finest collection of art. The museum is not life-changing, but the interior decor is pretty. In Piaţa Mica, note the Liar’s Bridge, named for the myth that lying on the bridge will cause it to collapse. 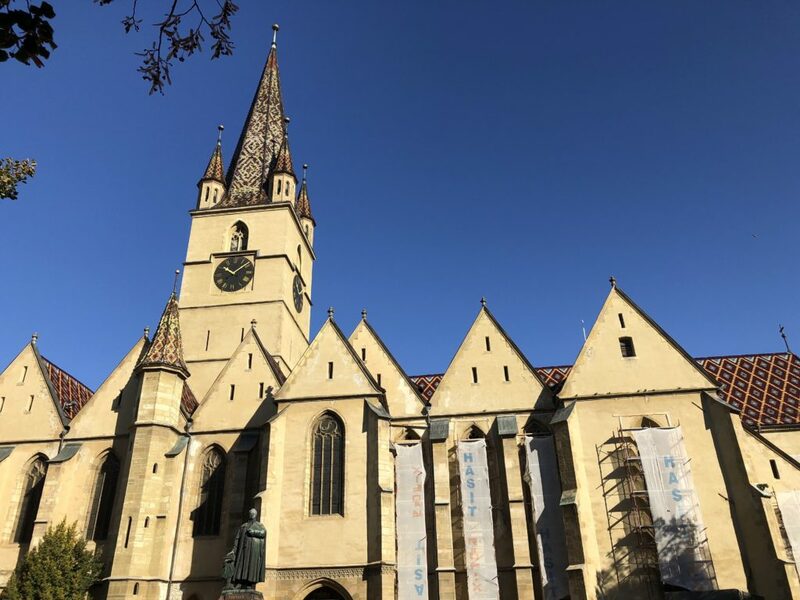 Piaţa Huet is dominated by the Lutheran Cathedral, with its spectacularly tiled roof, reminiscent of the roofs of the cathedrals in Vienna and Budapest. 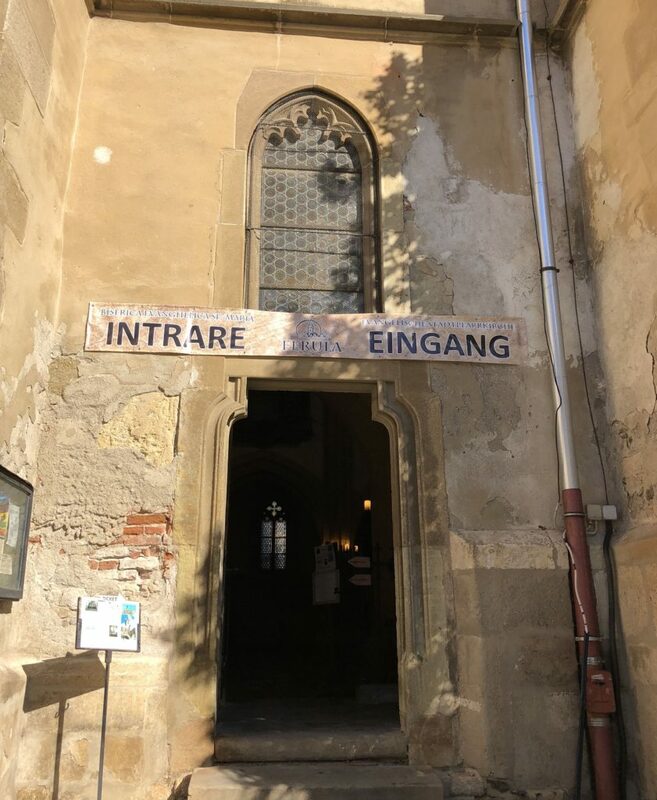 The Lutheran Cathedral in Piata Huet – love the tiled roof! 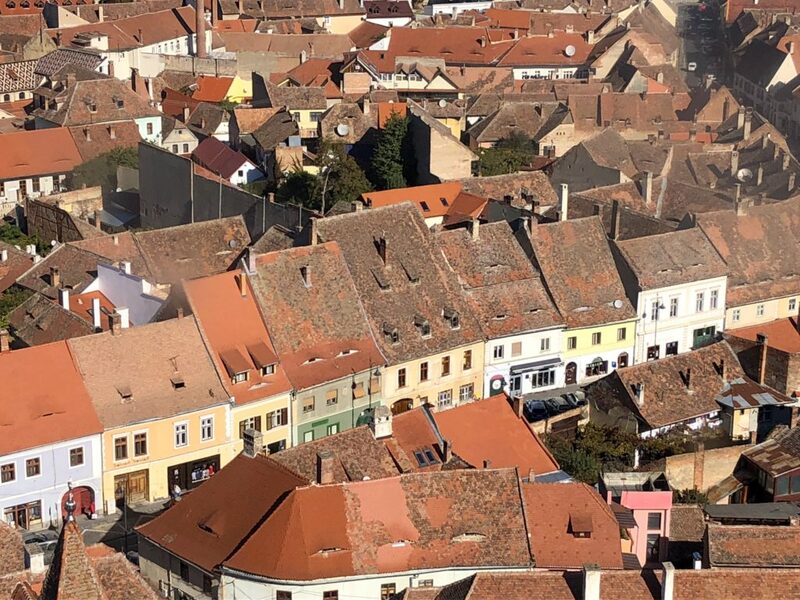 Charming Sibiu is best appreciated from above. 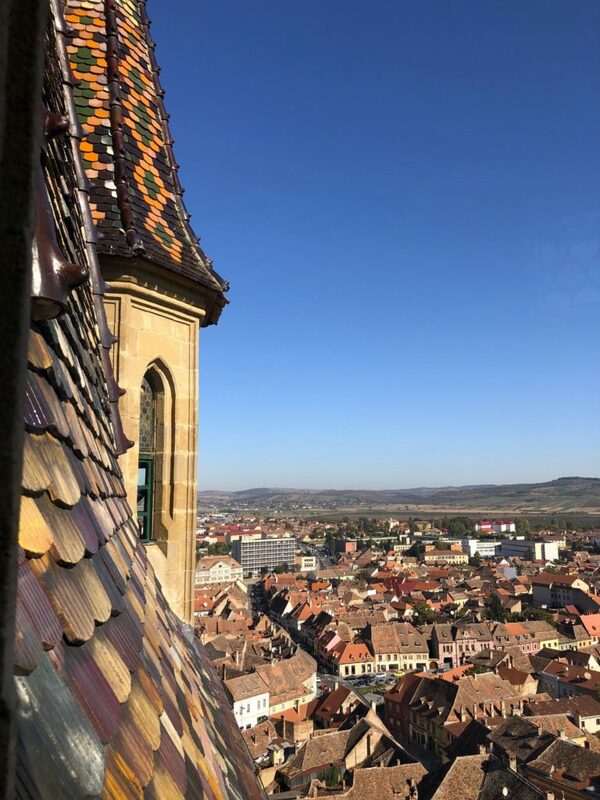 The best view of the city is from the Lutheran Cathedral in Piaţa Huet, which offers great views of Sibiu from the four windows in each corner of its tower (see the main pic for this post above). 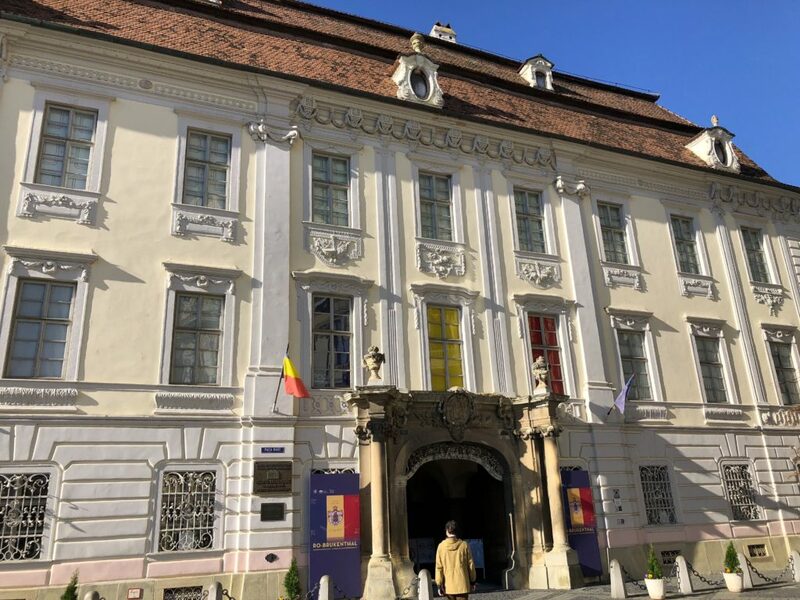 The entrance to the cathedral is ticketed, and going up to the tower is an added cost – but it’s a worthwhile stop on any day trip to Sibiu. When we visited, the cathedral was being renovated, so there wasn’t much to see inside. However, the cathedral is home to the tomb of Mihnea the Bad, the son of Dracula (aka Vlad the Impaler). Look out for his tombstone on the walls. Council Tower, right between Piaţa Mare and Piaţa Mica, also has nice views of the entire city. The tower was originally built in the 13th century as part of the city’s fortifications, then rebuilt in the 16th century. Don’t miss the tower’s clockwork on your way to the top! Views from the Lutheran Cathedral – note the awesome tiled roof! 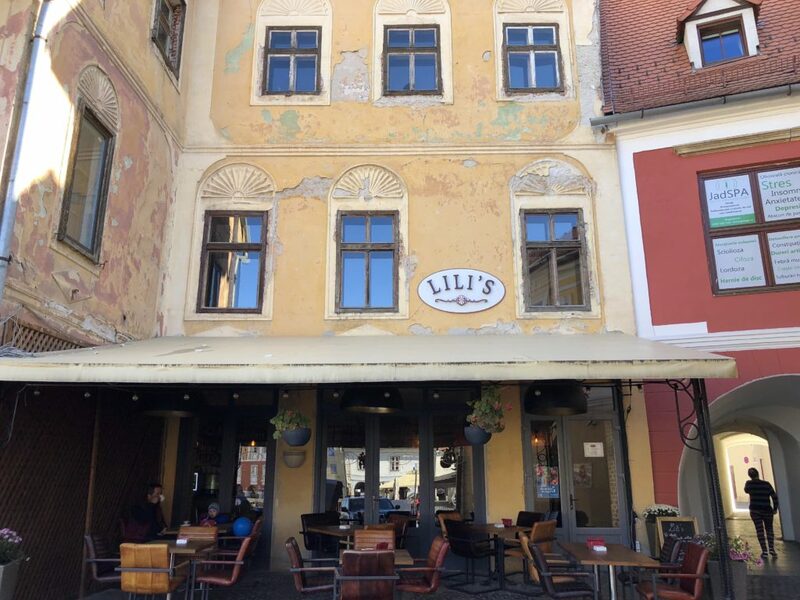 Eating in the plazas of town was one of my favorite parts of our day trip to Sibiu. Having a drink or meal al fresco is an ideal way to enjoy the city’s beauty while also relaxing and refueling. I recommend Lili’s Cafe (promise I’m not biased because of the name ?) for a tasty Aperol Spritz (they were particularly good here! ), snack, or full meal. Enjoy your food with a great view of Piaţa Mica and the cathedral. The small, cozy plaza of Atrium, right next to Liar’s Bridge, is also great for a drink or lunch. 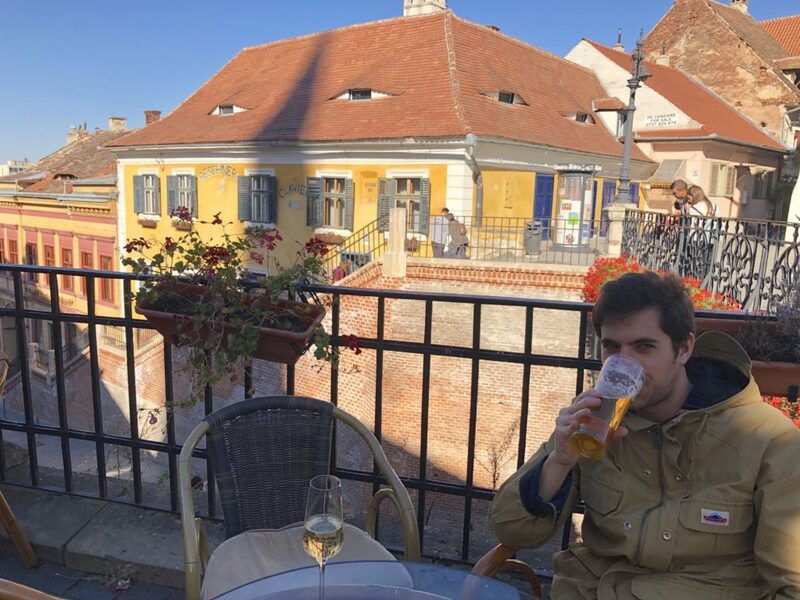 Sippin’ at Atrium – check the eyes on the house behind Pepe! 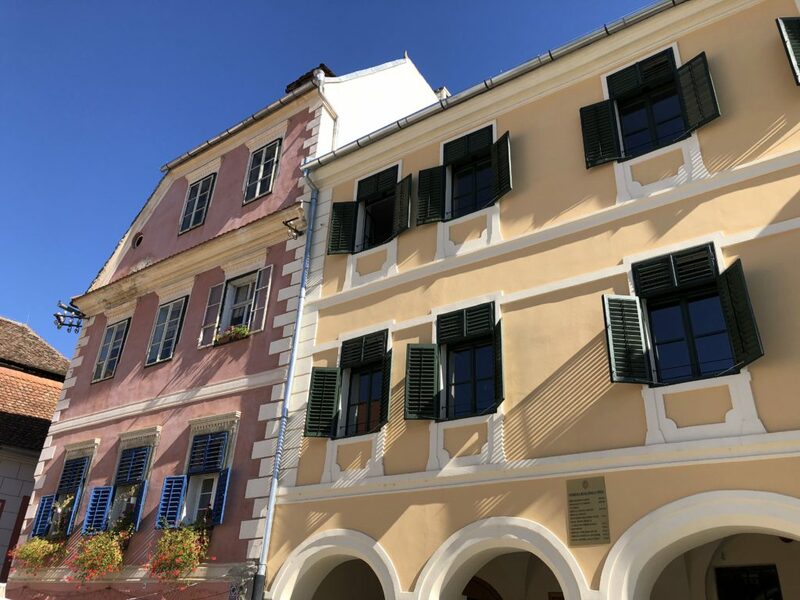 Wander off the beaten path behind Piaţa Mica to uncover a quieter side of Sibiu. In the corner of the back end of the plaza, farthest from the cathedral, you’ll see a little archway leading down a quiet street with red walls. 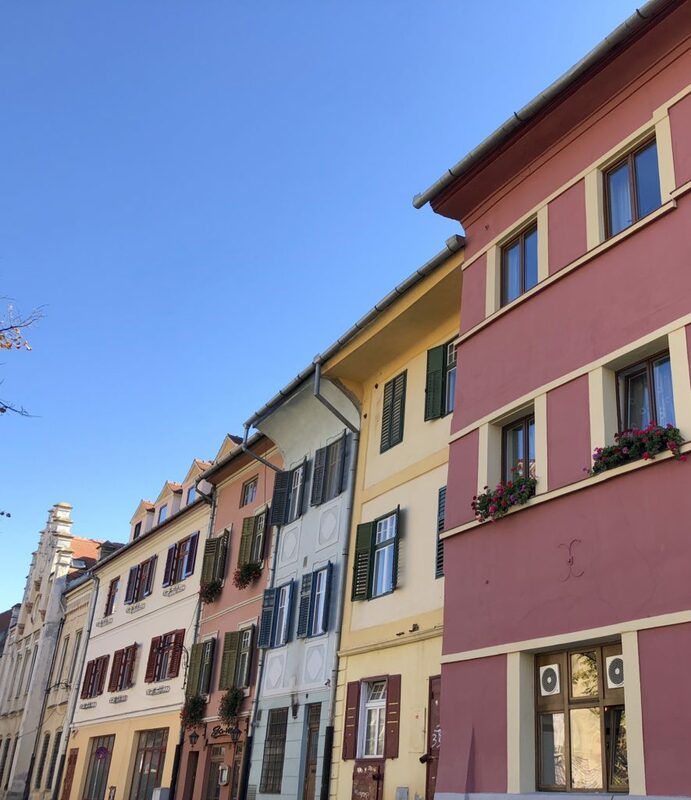 Continue down to the small Piaţa Aurarilor and along Strada Movilei, or just follow the colorful lanes to where your heart desires. After some meandering along the peaceful streets, circle back to the center of town. 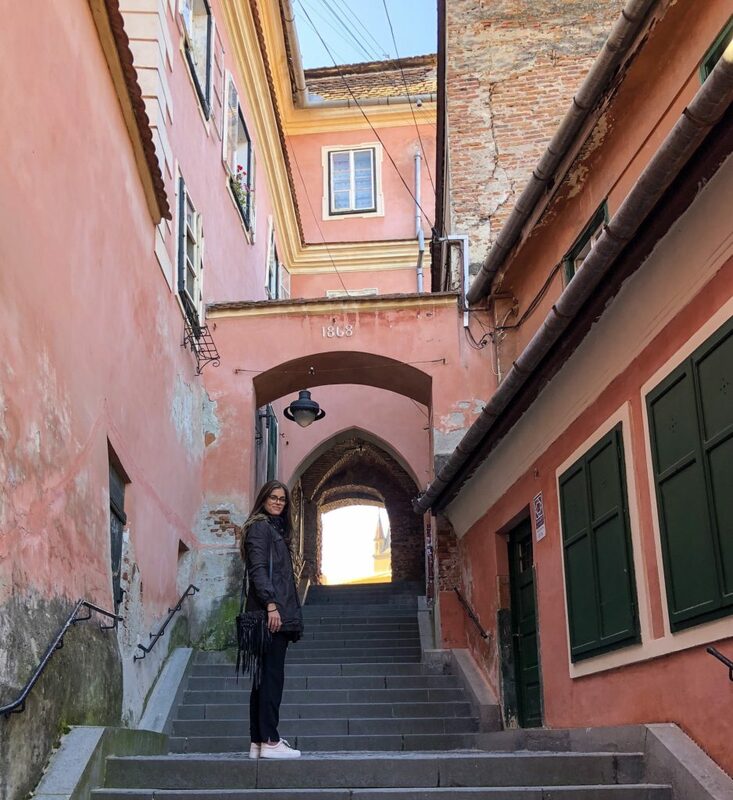 Once you’ve covered the central area of town around the three plazas, continue to explore by taking a stroll down the pedestrian Strada Nicolae Bălcescu, lined with shops and restaurants. Walk along the city’s old fortifications on Strada Cetății, where locals enjoyed a wine festival the weekend we were there. 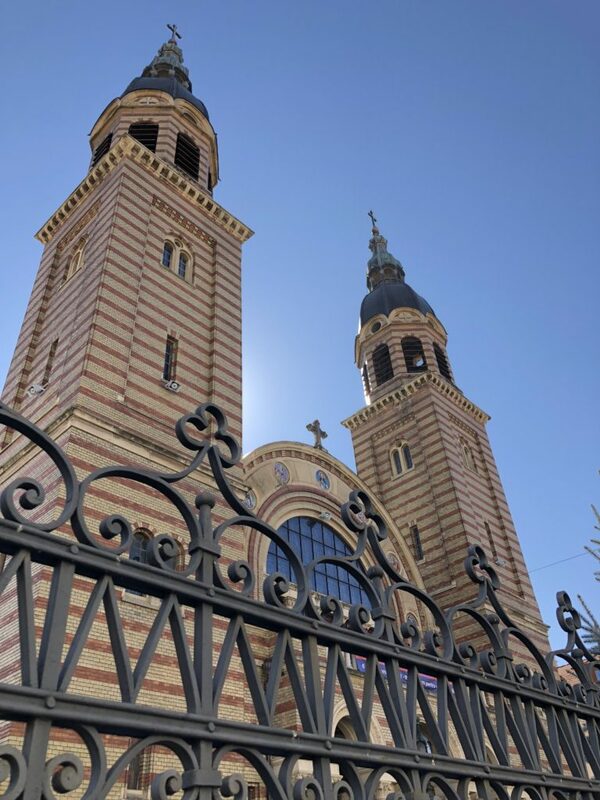 Get a quick breath of fresh air in the tree-shaded Astra Park, then visit the Orthodox Holy Trinity Cathedral, noting its impressive brick exterior and interior full of frescoes. If the cathedral looks familiar, that’s because it is: the architecture was inspired by the Hagia Sophia in Istanbul. Checkout the nearby Benjamin Steakhouse for dinner: it’s no Ruth’s Chris, but it hits the spot if you’re feeling carnivorous. The most helpful guides don’t only tell you what to do – they also tell you what to skip. We were recommended Crama Sibiană for traditional Romanian fare in Piaţa Mica, but we were underwhelmed by both the food and the ambience, despite the charming decor. The food market by the river is pretty standard and not particularly noteworthy, although it does give you a sense of local life. At the end of our day, we were lucky enough to catch a festival celebrating Sibiu and the surrounding towns. 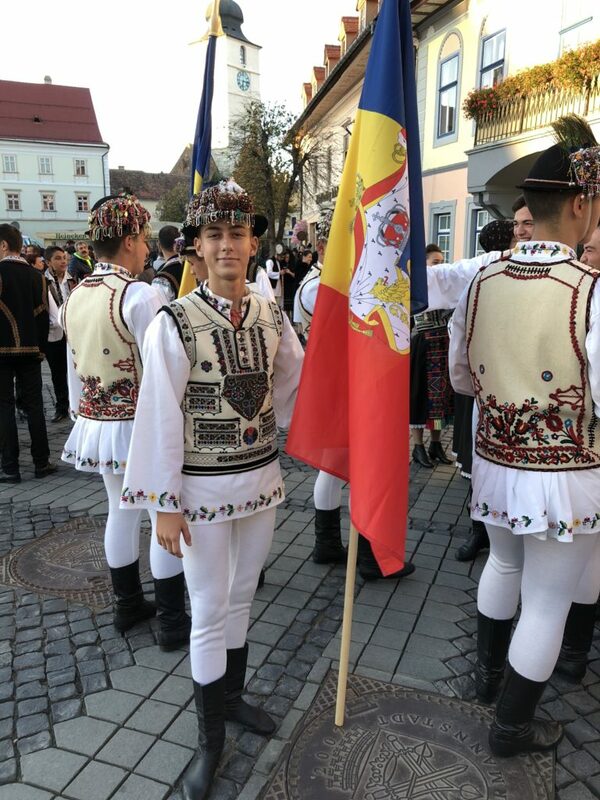 Dozens of people filled Piaţa Mare in traditional Romanian dress – it was so cool to see! 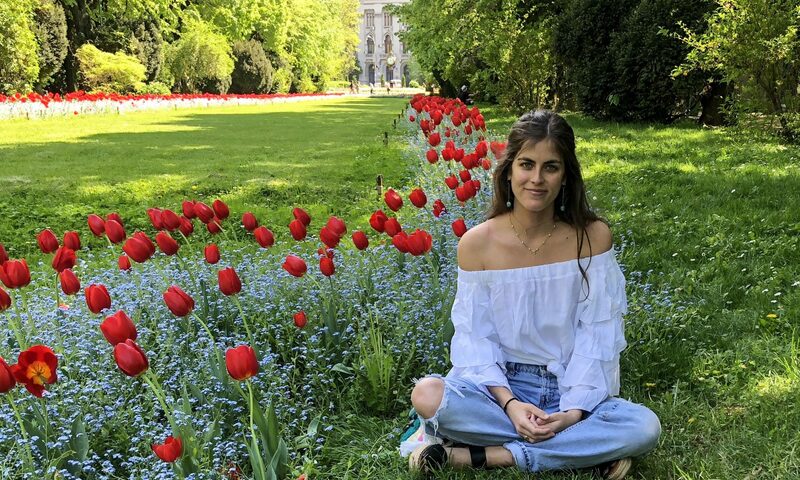 To explore more of Romania and its culture, check out my posts on cozy Brasov, colorful Timisoara, dynamic Bucharest, and hiking in Transylvania! I hope you enjoy your day trip to Sibiu! Ready for the festival in traditional Romanian garb!